E-learning is widely used by organizations worldwide to impart high quality training to their workforce. This online learning medium enables organizations to deliver training anytime, anywhere, in a convenient and affordable manner. E-learning evolves continuously to meet current business and learner demands. 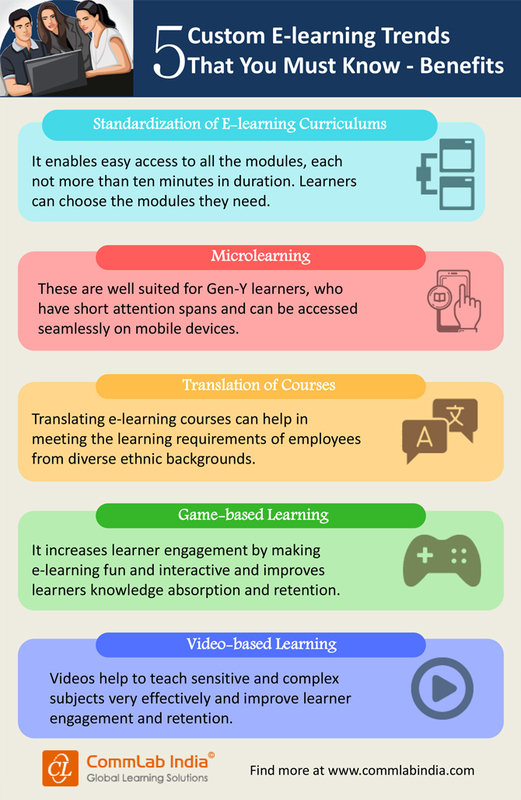 Check our infographic for insights on 5 custom e-learning trends that are the talk of the town in corporate training.